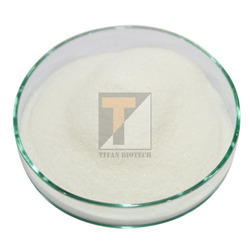 Pioneers in the industry, we offer chelated minerals, yeast culture (live), dried inactive yeast, mos nutritional feed supplement, sodium propionate powder and protein hydrolysate powder from India. Chelated minerals are minerals that have been combined chemically with amino acids to form “complexes” and these complexes are used in eliminate or prevent the deficiency caused by minerals.These act as dietary supplements which are superior to other mineral supplements, as aminoacids chelated minerals are more easily used up by the body than other chelated minerals. Titan Biotech Limited is producing aminoacid chelated minerals by Enzymatic Hydrolysis of Protein by its unique enzyme technology in the form of dipeptides and tripeptides. Free flowing and dust free powder. Enhances mineral absorption in the GI Tract. Lowers mineral excretion to the environment. Stimulates strong muscles and bones. 2 Taste Odour Having characteristic Yeast odour and slightly bitter in taste. It is a natural additive to add in animal feeds. It is derive from the cell wall of the yeast. 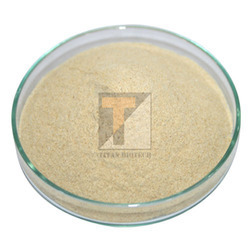 It is used as MOS Based nutritional Feed supplement. MOS have promising effects, such as decreasing pathogenic micro flora of the gut. Stimulates a strong immune response. Best alternatives to antibiotic growth promoters. Off white to light brown colored granular powder. Practically insoluble in water and alcohol. 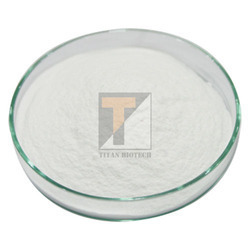 1 Appearance White crystalline powder. 2 Solubility (2%soln.at 25°C) Soluble in water. Best Before: 36 Months from date of mfg. Storage: Store in cool, dry place and tight containers. 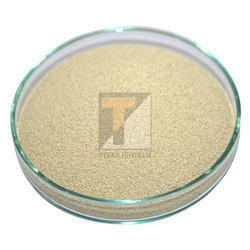 1 Appearance Creamish yellow coloured free flowing powder having characteristic odour. 2 Solubility (2% Soln. at 25'C) Soluble in distilled Water, clear solution. 3 Taste and Odour Bland in taste having no undesirable smell and odour. Storage: Hygroscopic by nature, store the material below 25°C, protect from direct sunlight. 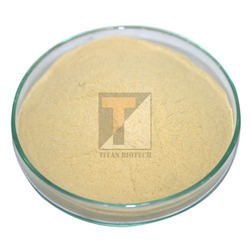 1 Appearance Light yellowish to brownish yellow colour, free flowing powder having characteristic meat odour but not pungent. 2 Solubility (2% soln. at 25 DegreeC) Soluble in distilled water, clear. Insoluble in alcohol. Best Before : 12 Months from date of mfg. 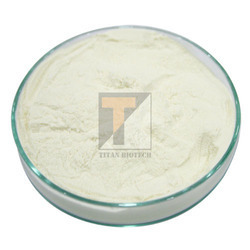 1 Appearance White hygroscopic powder. 2 Solubility (10% soln.) Highly soluble in distilled Water. It is a dietary product for aquatic animals made from plant sourced-Soya. It is enzymatically hydrolysed product. It is having 40% of Protein content. It consists of essential amino-acids content. It is a good protein source for aquatic feeds, acts as protein supplement. It leads to positive effects on growth of fishes shrimps. Soluble in distilled Water, clear solution. 1 Appearance Dark brown clear liquid , free from speaks and fiber , with characteristic odor. 2 Solubility (10% soln.) Miscible in water.